Trends in Record Retrieval for 2017 - ABI Document Support Services, Inc. - ABI Document Support Services, Inc.
Technology evolves quickly and ABI is proud to be at the forefront of the solutions for record retrieval and document management that allow our clients to receive documents faster than ever before. As the industry leader in record retrieval and document support services for insurance carriers and law firms, we are always on the cutting edge of emerging trends. In this article, we take a look at some of the top record retrieval trends for 2017 and beyond. Law firms and insurance professionals are well-versed in the steps required for record retrieval, but they don’t always realize that technology has made it possible not only to receive records, but to receive all of the records you need in a central location, where you can sort records chronologically, make notes, search by keywords, analyze and begin summarizing all accessible from your desktop, phone or tablet. Medical records review is a complicated, time-consuming process. Traditionally, summarizing medical records required sifting and sorting through piles of reports, test results, x-rays and doctors’ notes — with no clear picture of how everything fits together. Making sense of it all required a familiarity with medical terms and terminology. With technology changing everything about the way companies do business, many people wondered if there wasn’t a better way to handle records review and analysis. Medical summarization technology has completely changed the way law firms and insurance professionals review and analyze records. ABI is more than a record retrieval service. We’re also a document support service provider, and we use proprietary technology tools to quickly tools that allow us to quickly organize, index and summarize thousands of records in a patient’s medical history. Our record summary platform, eSummary by ABI, allows our clients to receive all records and medical encounters in chronological order, which they can format and mark up according to their needs. With eSummary, users can search for specific words or phrases, pull up a single document quickly and easily, and add custom notes they can return to at any time. Using a digital platform for retrieval and document management can also reduce the cost of claims by giving insurers and litigators a patient or claimant’s complete medical history. It wasn’t too long ago that a request for medical records meant copying thousands of pages of records and physically transporting dozens — if not hundreds — of cardboard boxes from the records custodian to the requesting party. Although this method of record retrieval is still used when necessary, it is being rapidly replaced by faster, more efficient and more affordable record retrieval processes — made possible by the use of electronic health records (EHR). According to current estimates, over 80 percent of physicians now use EHR in place of paper records. Among large hospitals, 98 percent have adopted compliant EHR technology. 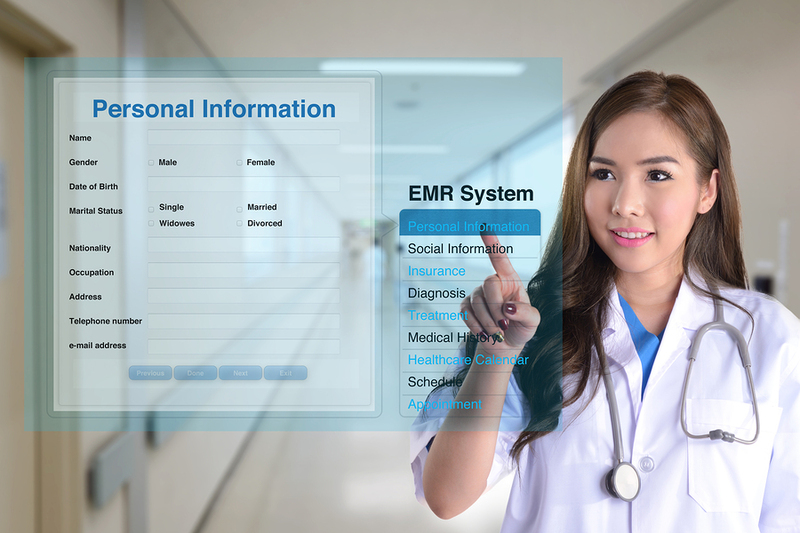 The pace of EHR adoption increased rapidly after the passage of the Health Information Technology for Economic and Clinical Health (HITECH) Act in 2009, which put $30 billion toward the push for healthcare providers to adopt EHR functionality across the board. As EHR systems replace paper records, retrieving medical records continues to be faster and more efficient. However, not all custodians use the same systems, and not every custodian is fully integrated. ABI has the ability to provide records in paper, digital or CD/DVD format without extending the turnaround time. ABI also bridges the gap from older systems to today’s new technology. Because ABI is the largest record retrieval provider in the country, we have developed long-term relationships with record custodians in all 50 states. Our systems can accommodate and interact seamlessly with record custodians using a variety of different systems and technologies. Our customers simply tell us which documents they need, and our team works quickly to request, process and deliver the information. The “cloud” is much more than an IT buzzword. Storing and distributing data on the internet rather than on internal servers allows businesses to access their data from anywhere, any time — much the same way television streaming services like Netflix and Amazon allow consumers to watch the same TV show from a variety of devices without worrying about restarting the program or remembering where they left off. RightScale, which conducts a “state of the cloud” survey each year, surveyed nearly 1,000 IT professionals from businesses around the country. In its 2015 State of the Cloud report, RightScale found that 93 percent of respondents were using the cloud in some fashion. 88 percent of businesses were using public cloud technology, whereas 63 percent were using private cloud tech. Hybrid cloud strategies increased from 74 percent in 2014 to 82 percent in 2015. 55 percent of businesses said their enterprise applications were built on cloud-friendly technology, allowing them to continue moving applications to the cloud. At ABI, our record retrieval service options allow our customers to view, analyze and review their records from anywhere. More than that, customers can share records with other users, as well as access records from a variety of devices via secure data link. Whether you’re in the office or on the go, your records can be in the palm of your hand. By stretching farther back in time, a better picture is painted of pre-existing conditions or other chronic conditions, which can ultimately cut down on fraud and lead to more successful outcomes. The move toward the digitization of records, including health records, means that record requests can now stretch farther back in time, retrieving records that might not have existed in a paper-based world. While records requests are still subject to the same types of objections as paper records, there is increasing pressure on records custodians to ensure electronic records are accessible — even if a request is unduly burdensome, irrelevant or otherwise inadmissible in court or an administrative proceeding. Electronic records may not present the same storage concerns as paper records, but they still take up space — a lot of space, as it turns out. As more and more electronic records are stored, businesses are confronting issues surrounding the storage and preservation of electronic records. For example, a terabyte of digital storage has been compared to the equivalent of all the books in a large library. A terabyte is large enough to hold 1,000 copies of the entire Encyclopedia Britannica, and 10 terabytes could store every single volume in the Library of Congress. With a database of over 9 million patients, Kaiser Permanente stores an astounding 30 petabytes (the equivalent of 1,000 terabytes) of data, which is triple the digitized amount in the Library of Congress. Additionally, businesses, healthcare providers and record custodians must contend with the challenges of migrating electronic records and data from obsolete applications to new applications, which means assessing the risk and potential liability of losing information. Medical records contain a wealth of information, which means they are a target for identity thieves. With medical records going digital, data breaches have become an area of concern for healthcare providers and record custodians. In recent years, several thefts of electronic medical records have made news headlines. In 2015, hackers accessed an Anthem database that stored 80 million records containing patient names, Social Security numbers, birthdates and medical ID numbers. The same year, Premera Blue Cross announced hackers had compromised the health data of 11 million patients. According to a study released by the Journal of the American Medical Association, over 29 million health records were breached between 2010 and 2013. In some cases, health-related data theft has been low-tech. In 2016, for example, a thief stole a laptop containing the healthcare records of thousands of NFL football players from the back of a trainer’s car. In light of the highly sensitive nature of health records, data security has never been more important. For law firms and insurance professionals who handle sensitive client information every day, outsourcing record retrieval to an industry leader with high level encryption is an important step. In recent years, law firms of all sizes have begun outsourcing their record retrieval request to document retrieval service providers. The reason is simple: it’s faster and more efficient. Even in a relatively straightforward case, such as a typical car accident claim, obtaining medical records is a colossal process that involves numerous steps. First, the law firm must determine which records it needs. Next, it must prepare the proper request forms and authorizations for each record custodian. In the absence of a patient authorization form, the law firm must issue a subpoena that complies with all state requirements. Once the requests and supporting documents are sent, support staff must keep track of the status of every request — a task that can involve weeks of follow up phone calls, emails and other communication. When records requests are handled this way, medical records arrive in piecemeal fashion, which usually means they can’t be sorted, reviewed or summarized until every single custodian has complied with the various record requests. It’s an understatement to say that traditional record requests methods result in lengthy, expensive delays. And once a firm has received all of the records it needs, attorneys and support staff must then sort through thousands of pages of reports, images and other documents to extract the information they need to support their case. The phrase “looking for a needle in a haystack” has never been more appropriate. This is why a growing number of law firms are outsourcing their record requests to a record retrieval service like ABI. With the largest network of field agents of any record retrieval service in the country, ABI’s team of U.S.-based document retrieval agents and records summation professionals delivers records in an encrypted, user-friendly format our customers can access, review and analyze from anywhere. With the worry and hassle of record retrieval off their plates, our customers are free to devote themselves to higher value, more productive tasks. The healthcare industry generated $3 trillion in 2012 alone. There’s no question that healthcare represents a massive chunk of the nation’s economy. In addition to its cost, healthcare is also incredibly complex. And with medical malpractice now ranking as the third leading cause of death in the U.S., litigation continues to be a major issue for the healthcare industry. Furthermore, complex privacy laws like HIPAA require record custodians to follow strict guidelines for complying with records requests. The many issues surrounding medical records have led law firms and insurance professionals to use a record retrieval service that specializes in medical records requests and summation. At ABI, our medical record retrieval specialists are trained to observe all federal and state privacy guidelines, and our teams have established relationships with record custodians across the healthcare industry. Not only does ABI obtain the records you need quickly and cost-effectively, our summation team has the technical and medical knowledge to compile, organize and summarize your records in a format that allows for easy and thorough review and analysis. ABI Document Support Services offers nationwide access and local support. Get the records you need without the hassle and expense of constant follow up. Contact us today to learn more about easy and fast record retrieval, as well as simple, quick, and accurate document management options that deliver 24/7 access to your records from a central dashboard you can use across multiple devices.